The irony of the selection is palpable. Though he now lives and work in Tennessee, Droll was raised in rural Ohio, in a conservative community whose oppressiveness both stifled and sparked his musical genesis. As a young man, Droll realized early in his life that he was gay, but he understood that his sexuality would be condemned if he told anyone. So he kept his orientation a secret, and began writing songs as a release. The photo of Droll at the fair, then, is a microcosm of a musician come full circle: the same environment that pushed him to bury a part of his identity is responsible for giving him the tools to express it. I met Droll at Cheer Up Charlie’s, a bar in Austin, during South by Southwest. The budding pop star had played a show the previous night, as well as an acoustic set and a spot at the BMI showcase in the days prior. Before the performances, though, Droll had been participating in the festival’s annual songwriting workshop, as, in addition to his musical career, the Nashville artist has built a successful career for himself as a professional songwriter. 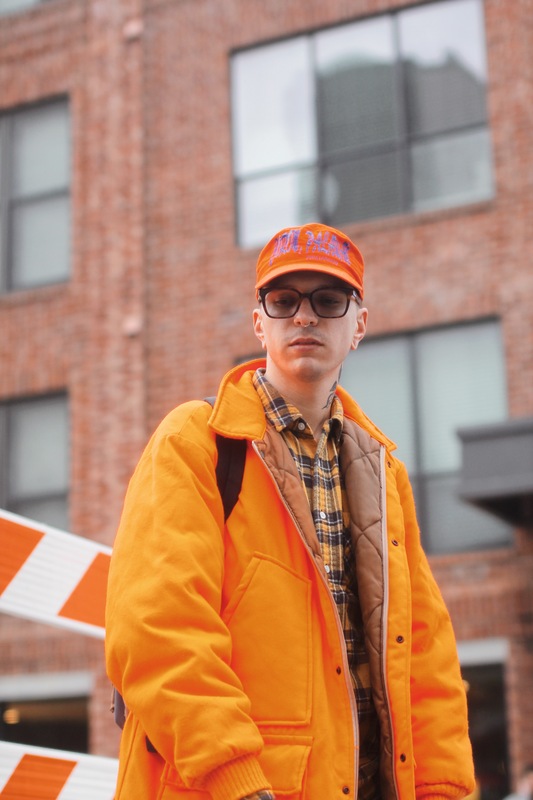 His aptitude for songwriting stemmed from his days as a closeted Ohio teenager, but his abilities first saw the light of day in college, when he joined a band called Aristo while at the University of Cincinnati. 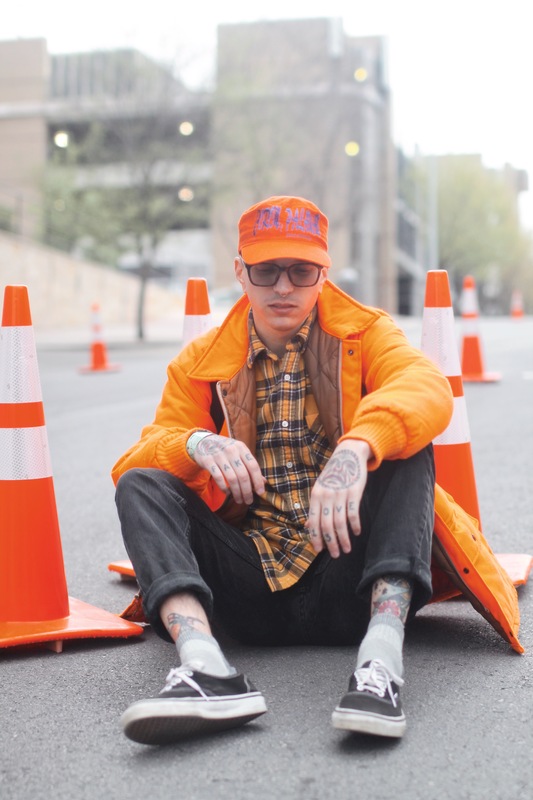 The pop-punk group, which they named after Droll’s great grandfather, began touring, and he quickly realized that he was unable to stay on top of his academics while on the road. He dropped out of school to take the band seriously, but Aristo soon fell apart and the young songwriter found himself untethered. To stay ahead of his bills Droll began bartending, which soon led to an opportunity to help open a bar in Nashville. He had been dating someone long-distance who lived in the city, and Droll was already looking for a reason to leave Cincinnati. He moved to Tennessee with high hopes, but the relationship soon crumbled and Droll, for the first time in a serious way, began writing music. “Wall” bears all the characteristics of what would soon come to be Droll’s trademark, dark-pop style. First, it concerns heartbreak, an underlying motif of many of the songs he would write over the next several years. Second, in its swelling synths and sultry, R&B-esque bassline, the track staked out his musical territory. Many of his songs blend the melancholy of a James Blake melody with the electronic sensibilities of a Disclosure track, and the combination, like much of Droll’s music, gives off a sense of resigned hopefulness. 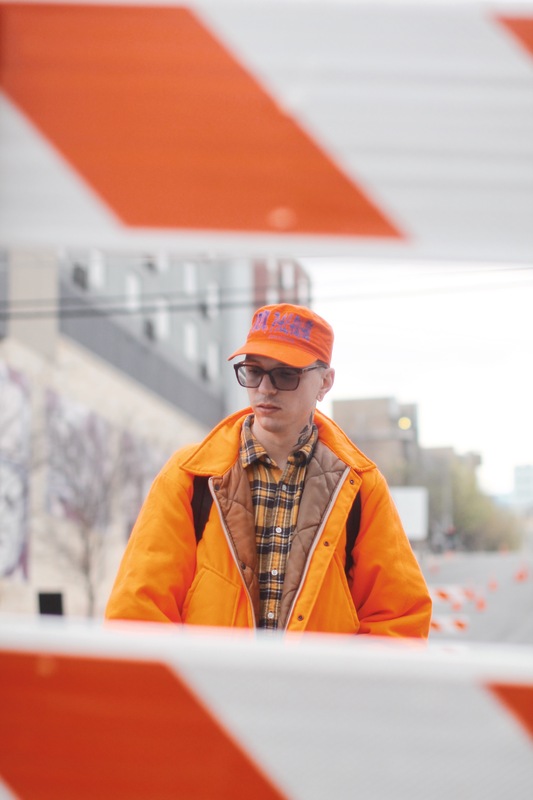 The next year, in 2017, Droll released a handful of songs, including “Jacket Weather” and “Bad for You,” which share a number of similarities to “Wall.” “Keep my name up out your mouth,” he sings in “Jacket Weather” over a soft piano with metronomic fingers snapping in the background. In “Bad for You,” Droll continues the theme. “I see conclusions you’ve been coming to / And I can’t tell you what you’re supposed to do / Just know that I’m bad for you,” he sings. Here the melody is even more muted, as a synth blinks rhythmically in the song’s rafters like a flickering neon light. Since then, Droll has actively worked through many of these issues, and he’s happy to have found himself in a loving, healthy relationship. 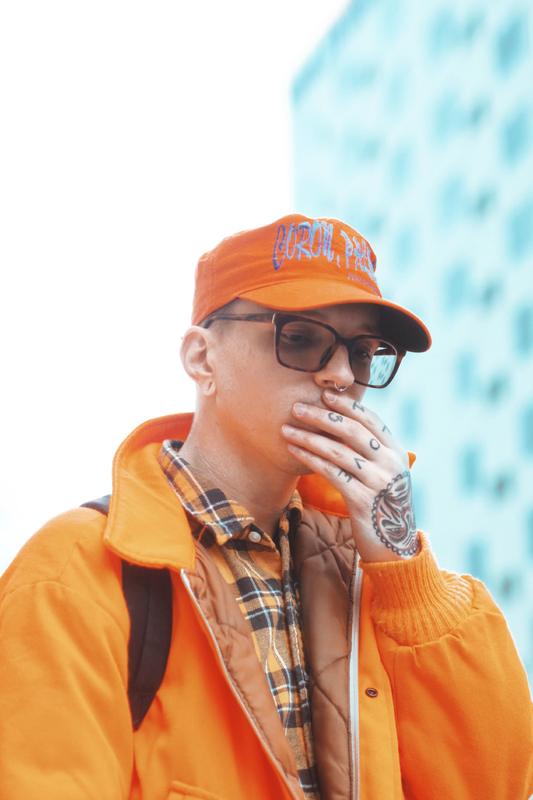 The allusions to mental unwellness that pockmarked many of his tracks haven’t disappeared completely, as he sings in his 2019 song, “Cut My Teeth,” “So blue you call me sapphire.” But he admits that his darker lyrics, nowadays, often come from him mentally mining the darker days of his past, rather than reflecting his current state of mind.